What’s that, you say? Your new Bugatti Chiron got recalled? Didn’t you spend, like, $3 million on that silly thing? Oh, right, but it’s special. That’s why you paid so much for it. It’ll go 261 mph or something, which is definitely worth the $3 million. The poors can’t get that kind of speed on their lowly six-figure budgets. Well, friend, we regret to inform you that the poors actually can. See, there’s this lovely 1991 Nissan 300ZX up for auction alongside the Tokyo Auto Salon in January, with a five-speed manual transmission and, oh, just a few modifications. Japanese tuning shop JUN Auto got the car and took its 3.0-liter twin-turbo V6 to 3.1 liters, modified the body, added turbos like you found on Porsche Group C cars to each cylinder bank and ultimately upped the car to about 1,000 horsepower. The 300ZX went to the Bonneville Speed Trials and hit over 261.9 mph, which, if we’re keeping count, is above what your precious Bugatti is capped at. 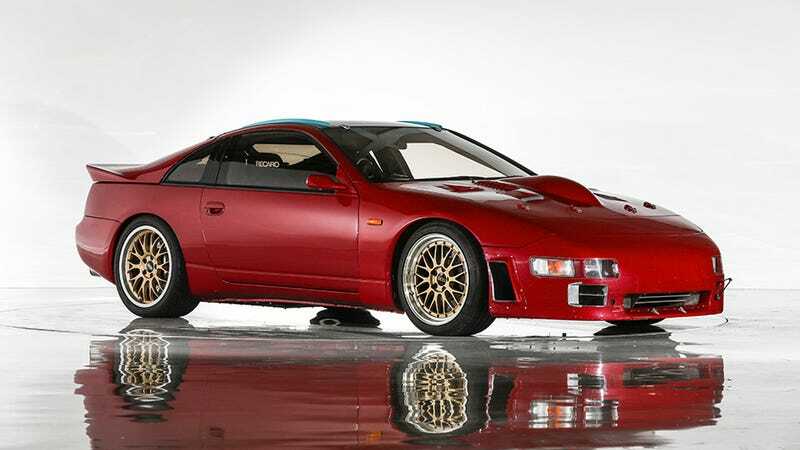 The 300ZX was modified to be road legal once back in Japan, but the BH Auction listing says the engine is virtually the same as it was during the trials. The company expects it to go for between $71,000 and about $98,000, but it could always sell for more. That’ll teach you to mock those weak five- and six-figure budgets, huh? Of course, the Chiron can do more than 261 mph. Bugatti puts a limiter on the car at that number, which is below what its Veyron predecessor ran—267.8 mph without a limiter—in 2013. Bugatti test driver and Le Mans champ Andy Wallace doesn’t think the Chiron will go 300 mph without the limiter, because modern tires probably can’t handle the pressure of that speed. But why spend $3 million on a car with a speed restriction, anyway? This 300ZX will give you all of its power and tuner pride, for about $2.9 million less.